Born in Co. Donegal, William C. Campbell graduated from Trinity in 1952 with first class honours in Zoology. Professor Campbell, with Satoshi Ōmura, was awarded the Nobel Prize in Physiology or Medicine 2015 "for their discoveries concerning a novel therapy against infections caused by roundworm parasites". A number of serious infectious diseases are caused by parasites spread by insects. River blindness is caused by a tiny worm that can infect the cornea and cause blindness. Lymphatic filariasis, or elephantiasis, is also caused by a worm and produces chronic swelling. Satoshi Ōmura cultured bacteria, which produce substances that inhibit the growth of other microorganisms. In 1978 he succeeded in culturing a strain from which William Campbell purified a substance, avermectin, which in a chemically modified form, ivermectin, proved effective against river blindness and elephantiasis. Professor Yvonne Buckley was appointed as Professor of Zoology in 2014. She is the co-champion of the multidisciplinary "Smart & Sustainable Planet" research theme and an international partner of the ARC Centre of Excellence for Environmental Decisions headquartered in Australia. Prof. Buckley has research interests in determining the future of how we live well on the planet, environmental decision making, population ecology and quantitative ecology. Her research team seeks to understand the fundamental drivers of animal and plant population processes in a rapidly changing world and to provide support for environmental decisions in the areas of biodiversity conservation, invasive species management and habitat restoration. 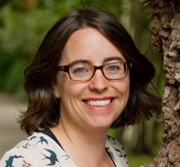 Prof. Buckley is interested in the development of ecology as a discipline, she is the founding chair of the Irish Ecological Association, and serves on editorial boards for two top ecology journals. She is also active in mentoring women in higher education at all levels, including through the Aurora program. Professor Buckley is originally from North Cork in Ireland and received a B.A in Biology (1st class) from Oxford University and a Ph.D. from Imperial College London (2002). She has worked at Imperial College London and the University of Queensland, Australia. Dr Bourke is an Earth and Planetary Geomorphologist with expertise in extreme environments on Earth and Mars. She has published over 50 manuscripts on landscapes in Antarctica, Australia, Namibia, Mars and Ireland. 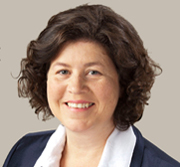 She is the Chair of the International Association of Geomorphologist's Working Group on Planetary Geomorphology; President of the Irish Geomorphology Group and serves on editorial advisory panels for the Journal of Aeolian Research, Earth Surface Processes and Landforms and the Journal of Earth Surface dynamics. She received her B.A. and M.A. in Geography from University College Dublin. She undertook her Ph.D. at the Australian National University investigating catastrophic floods in the Central Australian deserts, for which she received the university prize for outstanding postgraduate research in Earth Sciences. In 1998, she moved to the Smithsonian Institution for a Post-Doctoral position studying Martian landscapes. She then took up an academic post in the School of Geography, University of Oxford followed by a Senior Scientist position at the Planetary Science Institute, Arizona where she worked with NASA for nine years until her return to Ireland in 2012. Dr. Ian Donohue is an Assistant Professor in the School of Natural Sciences. 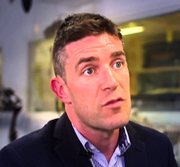 Dr Donohue is an ecologist whose research explores the stability of biological networks. The overarching aim of his research is to further understanding of how key elements of global change alter the functioning and stability of ecosystems. To achieve this, he collaborates broadly; with engineers, geneticists, economists, social and computer scientists and his research incorporates theoretical, experimental and applied perspectives. With his research team he is exploring how the loss of biodiversity alters the capacity of ecosystems to resist and recover from disturbances, how parasites will influence the stability of ecosystems in a warming world, and how to optimise the multidimensional stability of complex dynamic networks such as ecosystems and economies.